X-Men Fever continues on the JBF with with the release of JOHN BYRNE’S X-MEN ARTIFACT EDITION. The final sequential issue of JB's STAR TREK: NEW VISIONS was released in July 2018. Kirk and his crew venture into the past, only to discover it is nothing like what their history books teach-no trace of the devastation of World War III and the Eugenics Wars. What can have caused such a divergence? The answer is to be found in "An Unexpected Yesterday." Available now, a special edition of STOWAWAY TO THE STARS colored by Leonard O'Grady! Originally issued as a coloring book, this is a new way to enjoy the story. Includes a new prose story by JB! JB's STAR TREK: NEW VISIONS #21 - "The Enemy of My Enemy" arrived in shops April 2018. The enemy of my enemy… is not my friend. But Kirk and Kor find themselves forced to work together against a common foe. Alliance, or a chance for deadly betrayal? Don't miss the penultimate issue in this groundbreaking series! STAR TREK: NEW VISIONS #20 - "Isolation" is now available. Captain Kirk has found himself all alone on the Enterprise before-but what happens when each individual member of the crew finds themselves in a similar state? And who is behind this... isolation? The sixth trade paperback collection of JB's STAR TREK: NEW VISIONS collects issues #15-17 and is in shops now. In “The Traveler,” a mysterious Traveler is pursued by a ruthless robotic horde. Or is he? Jim Kirk must answer that question before his ship and crew are lost. In "Time Out of Joint," Captain Kirk is torn from his timeline. Every corner her turns, every door he opens, throws him into a different day, a different year - and a different danger. "All the Ages Frozen" finds Kirk and the crew on a world locked deep into an ice age as they investigate the disappearance of a team of Federation scientists and discover a long-lost civilization whose only survivor is intent on saving them... even if it kills them! STAR TREK:: NEW VISIONS #19 - “The Hunger” is now available. For thousands of years, it had drifted above the outer rim of the Galaxy, draining life from all the worlds it found there. Now, it has learned of the banquet of populous planets near the heart of the Milky Way, and is heading there at terrifying speed - with only the Enterprise standing in its way. In stores now, STAR TREK: NEW VISIONS #18 - "What Pain It is to Drown". Pulled down to a world made entirely of water, the Enterprise is in danger of literally flooding — while Spock and McCoy discover a sinister purpose behind this bizarre planet. JOHN BYRNE'S STOWAWAY TO THE STARS is an amazing coloring book that is like no coloring book you have seen! Robots, aliens, and a spunky teenaged girl. John Byrne explores a whole new way of storytelling in STOWAWAY TO THE STARS, an adult coloring book featuring all-new art (and story fragments, too!) by comic legend John Byrne! Catch up on the whole STAR TREK NEW VISIONS series with the first five trade paperback collections. 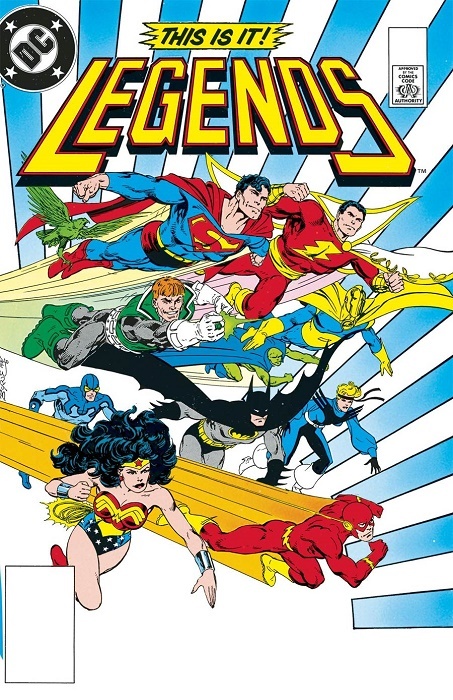 The first trade paperback collection includes the stories that appeared in the Annual that kicked off the series, as well as issues #1-2. The book collects the stories "Strange New Worlds", "The Mirror, Cracked", "Time's Echo", and the amazing short, "Sweet Sorrow". The third collection from JB's STAR TREK: NEW VISIONS is out, and it features three fantastic stories from the series - “Resistance,” featuring The Borg; “1971/4860.2" where Captain Kirk is sent 200 years into the past to meet Gary Seven; and “The Survival Equation” as killer androids start showing up by the dozen. The stories appeared as #6-8 in the series. The fourth collection features "The Hollow Man", a mysterious message draws Mr. Spock on a solo mission to a distant part of the Federation, where an old friend awaits, as well as a menace with the potential to threaten the entire galaxy. In the instant classic “Mister Chekov,” find out what roles the navigator played aboard the Enterprise before his promotion to the starboard seat. In “Of Woman Born” Dr. McCoy confronts Captain Kirk with a staggering discovery–Lt. Carolyn Palamas is pregnant with the child of Apollo. Or is she? The fifth trade paperback collection of STAR TREK: NEW VISIONS is now available, collecting issues #12–14 and the short story that was previously only humble-bundled, "More of the Serpent Than the Dove." In “Swarm,” the Enterprise faces an alien threat that numbers in the millions; in “The Hidden Face,” a chance encounter with a drifting ship leads the crew to a world where the most obscene thing imaginable is the human face; and in “Sam,” Captain Kirk must face one of the greatest moral challenges of his life, proving the innocence of a confessed killer–Sam, his own brother! Also, JB's adaptation of "The Cage" has been released as a STAR TREK NEW VISIONS special edition. JB's illustrated Star Trek work has been collected into one volume - highly recommended!!! STAR TREK: THE JOHN BYRNE COLLECTION features all JB's Star Trek illustrated work, including ASSIGNMENT: EARTH, ROMULANS, CREW, and LEONARD McCOY: FRONTIER DOCTOR. You can get this in either hardcover or paperback editions. And don't miss JB's amazing take on the secret agent world with COLD WAR. MI-6 agent Michael Swann's first adventure is told in this excellent story called "The Damocles Contract"
Marvel's Epic Collections have made some of JB's classic work affordable. You can also find JB's collaboration on CAPTAIN AMERICA with writer Roger Stern in the new MARVEL UNIVERSE BY JOHN BYRNE omnibus, as well as the hardcover and paperback editions of "War and Remembrance". There is a reason it gets reprinted so much - it is truly wonderful. Below is a list of JB's Trade Paperback and Hardcover Library, originally compiled by Brendan Howard. It is in need of updating, so please help us out and post your additions/corrections below. Cold War Vol. 1: The Damocles Contract - reprints #1-4; includes cover gallery with alternate covers by JB. Also includes pencil layouts for issue #1, "The Minds That Matter"
The Complete Rog 2000 - introduction by Roger Stern, collecting stories and features up to 1982. Uncanny X-Men: The Dark Phoenix Saga (reprints #129-137) Several editions printed with different cover art. First edition published 1986 featured Bill Sienkiewicz cover. Subsequent editions in 1999 (cover taken from interior art by JB & Terry Austin), 2000 (Phoenix symbol edition), 2003 (Salvador Larroca cover), 2006 (JB/Terry Austin cover art from issue #135). This thread has been updated to include 5-4-16 release of STAR TREK NEW VISIONS #11 - "Of Woman Born"
Also, a reminder that I am leaving this thread open for any corrections/additions to the JB Hardcover and Trade Paperback Library list above. Please help us keep the list updated and accurate. Ken Connell wields the awesome power of the Star Brand! But will he be remembered as the New Universe’s greatest hero, or its most terrible threat? Ken gets a whole new look — but when he goes public with his uncanny abilities, the consequences are far beyond anything he ever expected! The mysterious old man returns, the true nature of the White Event is revealed, and Ken’s son is born! But when he tries to rid himself of the Star Brand, it’s goodbye Pittsburgh! You will not believe who takes on comics’ finest tattoo. What will the new owner mean for life, death and everything in the New Universe? Plus: A lost tale from Ken’s stint as the Star Brand, told 20 years on! Collecting STAR BRAND #11-19, THE PITT and UNTOLD TALES OF THE NEW UNIVERSE: STAR BRAND. Wanted to edit the above to add that it will be released in July. Thanks, Bert! I've never read STAR BRAND - looking forward to it. And judging by your reaction, JB, I see why it's not discussed much on the Forum! 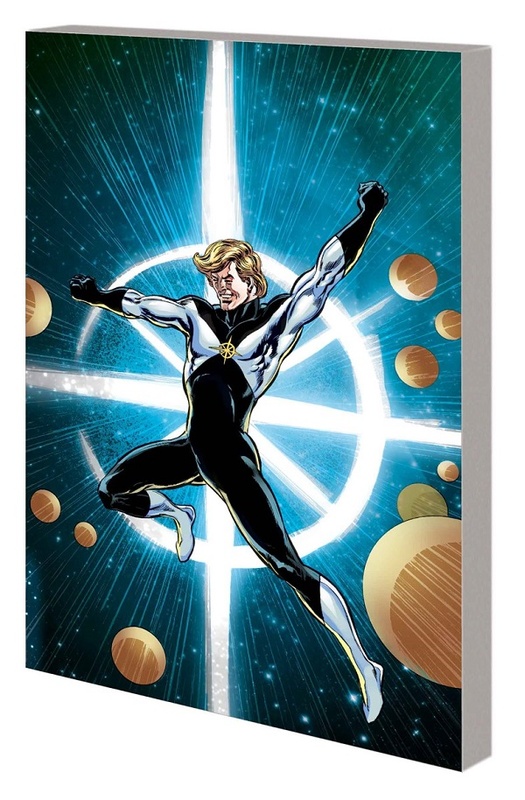 STAR BRAND was a moment best forgotten, as part of my career, and as part of Marvel history. When Howard Mackie, as editor, asked me if I would care to take on Jim Shooter's version of Green Lantern, I agreed, making a promise to myself that I would do the best STAR BRAND I could, not destroy it as everyone expected. Circumstances made my best work difficult to achieve, and the parts did not come together as I had hoped. Nothing was actually destroyed, I just cannot recommend the series. So, even tho I get royalties from this reprint, you all have my permission to pass it by! I read it, still have them I think. They're not that bad JB, I would think you were pretty limited as it being a different universe and all the Marvel characters you could use you couldn't and were stuck with the hand dealt to you. All in all it wasn't that bad, better than most stuff being printed today IMO. Spider-Man has become the world’s favorite super hero — and together with Ross Andru, Keith Pollard and guest artists including John Byrne and Jim Starlin, Marv Wolfman will prove why! Sure, there are fearsome villains to fight — such as Electro, Jigsaw and the Spider-Slayer! And unlikely enemies to face — such as Rocket Racer and the Big Wheel! And J. Jonah Jameson has an even sharper axe than usual to grind with Spidey after their latest encounter with the Man-Wolf! But the true drama, as always, comes from Peter Parker. As Aunt May hangs onto life by a thread, will Mary Jane accept Peter’s marriage proposal? And when Betty Brant walks back into his love life, what’s a Parker to do? 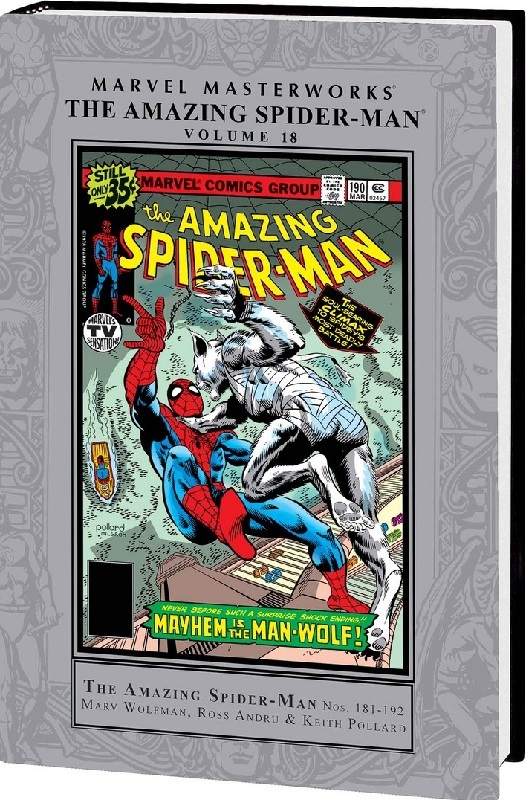 Collecting AMAZING SPIDER-MAN (1963) #181-192 and material from AMAZING SPIDER-MAN ANNUAL #12, plus the MIGHTY MARVEL COMICS CALENDAR 1978. In the wake of CRISIS ON INFINITE EARTHS, the heroes of the DC Universe must find a new purpose and direction in the battle for justice! When G. Gordon Godfrey arrives on behalf of Darkseid to create a hate campaign that outlaws super-heroic activities, the world’s greatest find themselves fighting the very people they swore to protect! Don’t miss this new edition collecting the 6-issue miniseries, including the first appearance of the modern Suicide Squad! 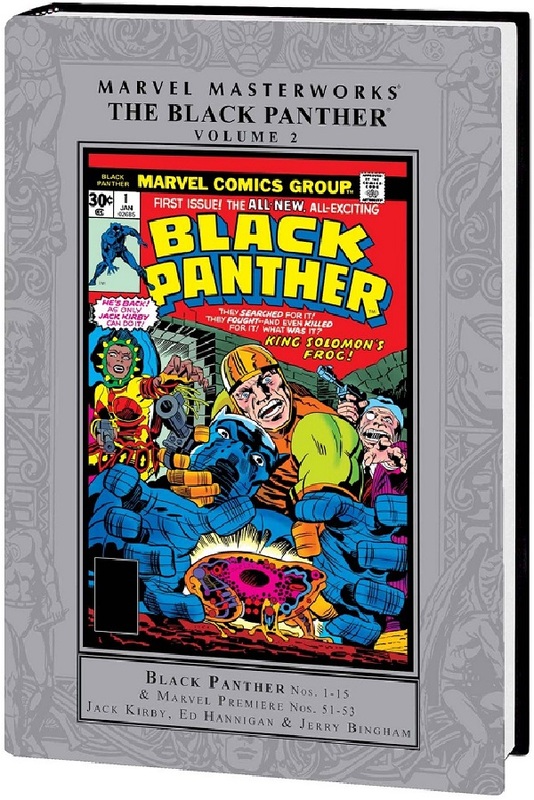 Jack “King” Kirby returns to the character with whom he made history as the Marvel Masterworks presents Kirby’s complete Black Panther series and its never-before-reprinted conclusion in one massive volume! Kirby’s limitless imagination unfurls before you as T’Challa unlocks the secret of King Solomon’s frog, encounters alien races, battles eternal samurai warriors and more! The history of the Wakandans, their majestic city and their amazing technology, and the origins of Vibranium, are all explored with a power and passion that only Kirby can offer. Then, Ed Hannigan and Jerry Bingham present an epic battle between the Black Panther, the Avengers and Panther’s nemesis, Ulysses Klaw! And finally, T’Challa returns to the American South to root out the evil Soul Strangler’s cult! Collecting BLACK PANTHER (1977) #1-15, MARVEL PREMIERE #51-53 and material from MARVEL TEAM-UP (1972) #100. I think only the Marvel Team-Up #100 has the JB art. Hey, what happened to Kirby's little finger nail nubs on the Panther's hands? Earth's Mightiest Heroes by one of comics' biggest names! John Byrne transforms the West Coast Avengers as the dismantling of the Vision sets the android's bewitching wife, Wanda Maximoff, down a path that is far darker than scarlet! On the East Coast, Byrne steers the Avengers through attack by the Lava Men and into the Negative Zone in search of the Eternals! Then along comes a spider as a friendly neighborhood wall-crawler joins the Assemblers on a journey to the stars! But what is Immortus's ultimate plan? From the Evolutionary War to Acts of Vengeance and more, it's an eventful volume filled with epic tales written and/or drawn by Byrne! Collecting WEST COAST AVENGERS (1985) #42-46, AVENGERS WEST COAST #47-62 and ANNUAL #4, AVENGERS (1963) #305-318 and ANNUAL #18, and material fromAVENGERS SPOTLIGHT #23 and WHAT THE--?! #6. Are those Star Brand editions in color?? I find it impossible to pass up JB stuff!! When I first read Star Brand as a kid, I found the scene that explored what would happen if death were eliminated to be thought-provoking. When people do things for the benefit of society, they should consider the unintended consequences. I'm not sure, but I would think they are. Remember only Vol. 2 has JB's work in it. 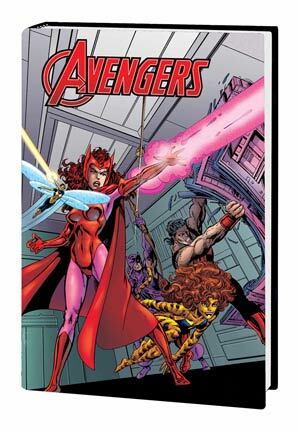 I also added the AVENGERS BY JOHN BYRNE omnibus to the first post - it collects JB's amazing run on AVENGERS WEST COAST. Legendary writer/artist John Byrne steers one of his greatest creations to glory! 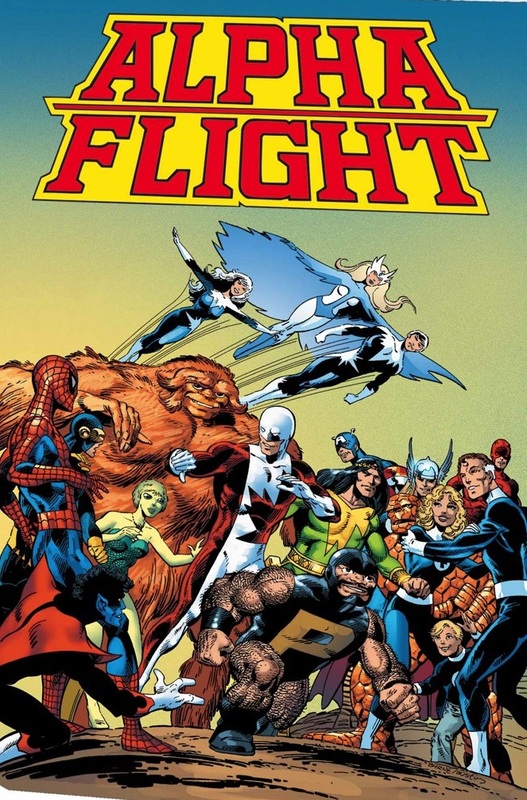 Exploding from the pages of X-MEN, Canada’s premier super-team Alpha Flight takes the Marvel Universe by storm before starring in its own Byrne-helmed series! Guardian, Shaman, Snowbird, Sasquatch, Aurora, Northstar, Puck and Marrina fight to protect Canada from injustice and evil — including Master of the World, the maniacal alchemist Diablo and the terrifying Great Beasts! But they’ll face their darkest defeat at the hands of rival Omega Flight. And when an Alphan falls, can the team fight on? Plus: Loki! The Hulk! And more! Collecting X-MEN (1963) #109, #120-121 and #139-140; MACHINE MAN (1978) #18; MARVEL TWO-IN-ONE (1974) #83-84; INCREDIBLE HULK (1968) #272, #313 and ANNUAL #8; ALPHA FLIGHT (1983) #1-29; X-MEN AND ALPHA FLIGHT (1985) #1-2; X-MEN/ALPHA FLIGHT (1998) #1-2; and material from MARVEL TEAM-UP ANNUAL #7.